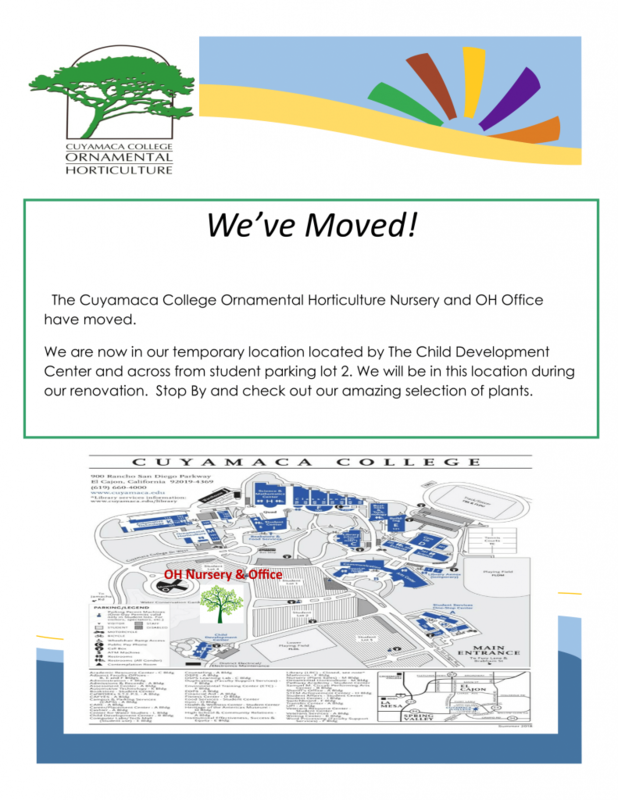 Cuyamaca College Ornamental Horticulture Nursery and OH Office have moved. They are now located in their temporary location located by the Child Development Center and across from Student Parking Lot 2. They will be in this location during their renovation. Stop by and check out the amazing selection of plants! Join the La Leche League every 2nd Saturday of the month at the Lemon Grove Senior Center (10 AM – 11 AM) for our breastfeeding support group! 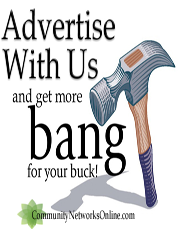 Partners are welcome at these meetings. Read below to learn more about the La Leche League! *Location hanged as of November 2017. The location was previously the Rancho San Diego Library. The Lemon Grove Senior Center is located at 8235 Mount Vernon St Lemon Grove, CA 91945. About the La Leche League: La Leche League is a nonprofit, nonsectarian organization dedicated to providing information, encouragement, and support to anyone who wishes to breastfeed their children. Our meetings are led by volunteers who have happily and successfully breastfed their own children and have subsequently been accredited by La Leche League International (LLLI). Our Mission is to help mothers worldwide to breastfeed through mother-to-mother support, encouragement, information, and education, and to promote a better understanding of breastfeeding as an important element in the healthy development of the baby and mother. 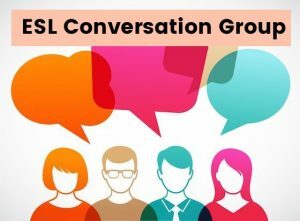 About the meetings: At Group meetings La Leche League Leaders and other mothers share experiences, give suggestions and offer support and encouragement. LLL meetings are ideal for learning from and making friends with other mothers. These meetings provide time for mother-to-mother sharing in a friendly and accepting atmosphere. The informal meetings are attended by expectant, new and experienced mothers and their babies. Most Groups rotate through a series of breastfeeding topics, however every meeting is different and the questions of the attendees are always given top priority. What are the meeting topics? The advantages of breastfeeding. Mothers are amazed to hear about the many remarkable qualities of human milk, their bodies fantastic ability to produce milk as well as the positive impact breastfeeding has on families, the environment and society. Overcoming difficulties. Leaders and mothers have excellent ideas to help mothers overcome roadblocks that may impede breastfeeding progress. Nutrition and weaning. Pregnant women enjoy this topic so they can optimize their unborn baby’s health. Mothers learn how to start solids for their babies. Nutritious options for family meals are shared. Cajon de Oro Little League (CDOLL,) the neighborhood little league serving Mount Helix, Casa de Oro, and El Cajon, announces the grand opening ribbon cutting ceremony at its new Rookies / Tee Ball Field located in the Russell Road neighborhood of Mount Helix. All community and civic leader members are invited to participate in the ribbon cutting ceremony on Saturday, June 10 at 3 p.m. The location is Mosher Field at 10400 Russell Road, La Mesa, CA 91941. “The opportunity to work alongside the Fuerte Recreation Club (FRC) to create this incredible facility for use by our youngest players has been a collaborative initiative and labor of baseball love,” said Josh Bailey, President of CDOLL. Backstops, bleachers, fencing, new pavement, a snack bar, and other enhancements have made this the premier facility for Rookies and Tee Ball players aged 4-6. In addition to fundraising, supportfrom the FRC, funding for the facility came from Little League development grants. Cajon de Oro Little League celebrated its 60th Season in 2016. The league serves more than 180 youth from area families. It is an entirely volunteer organization and a non-profit 501(3)c. In addition to recognized Little League residency boundaries, any students of Avocado Elementary, Fuerte Elementary, Casa de Oro Elementary, Spring Valley Academy, and Santa Sophia Academy are eligible to play in the league. If you would like more information about this topic, please contact Karen Bunkell at 619.309.8867 or email at fundraising@cdoll.org. 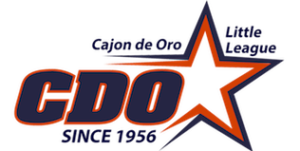 Visit www.cdoll.org for more information about Cajon de Oro Little League. 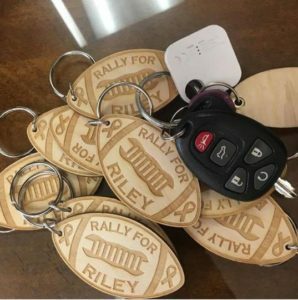 Local boy, Riley Ransdall, has been diagnosed with Ewing’s sarcoma at 11 years old. Ewing’s is an extremely rare cancer that metastasizes in the bones and soft tissues around bones. 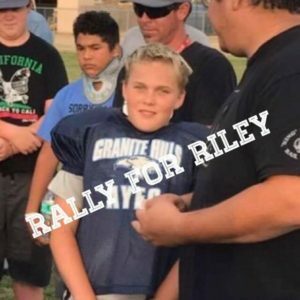 Riley must undergo 13 weeks of chemotherapy, surgery to remove the tumor and then radiation. He must brave a total of 52 weeks ( an entire year) of treatment. Riley is an active and bright boy. Until recently, he played little league in Alpine. He now plays Granite Hills Youth Football and is a Sweetwater Warrior at East County Warriors Youth Lacrosse Club. He currently attends Spring Valley Academy an International Baccalaureate Middle Years School, and is on the honor roll. 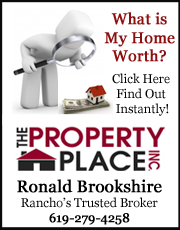 Riley’s family has been in Alpine and San Diego County for over 40 years. 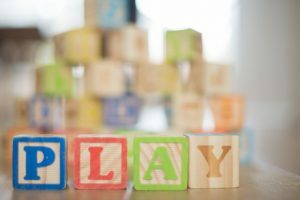 [From Kristin Benson] Until recently, he lived down the street from my family and even though he is older than my children, he was always willing to play with them and include them. Not many 5th graders are willing to play with 6 and 7-year-olds. He is a kind and generous boy. My family is honored and blessed to know Riley and his family. 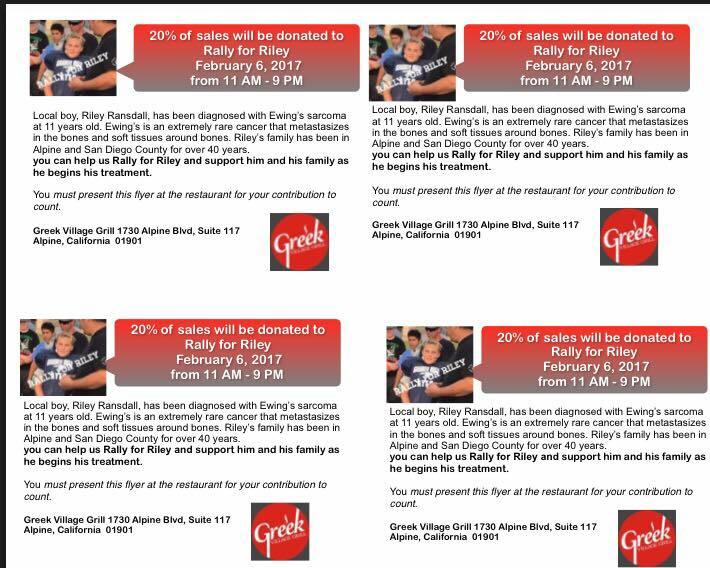 You can Help us Rally for Riley and support him and his family as he begins his treatment. Please read below to find information about donations, fundraisers, and other ways to help. There are 2 fundraisers coming up, one of which needs donations for auction items, monetary donations to buy supplies, and party supply rentals. We will be hosting a fashion show, silent auction, and raffle at the Alpine Community Center to benefit Riley Ransdell and his family. We will live auction different looks from our local boutiques, as well as many other great auction items! There will also be an emcee! 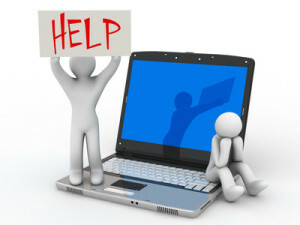 **DONATIONS NEEDED: auction items, monetary donations to buy supplies, and party supply rentals. 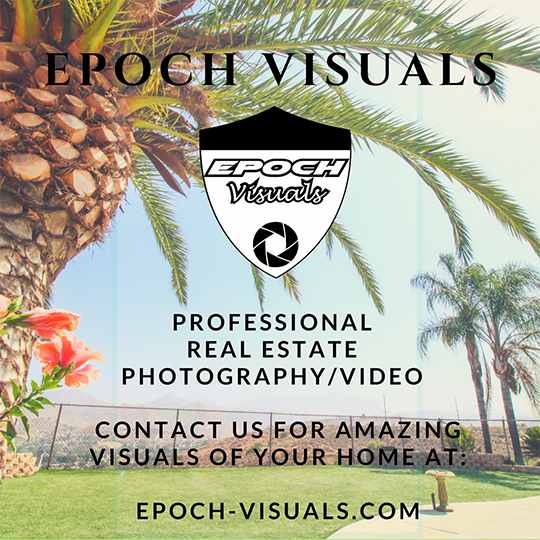 To arrange pick up contact Kristin at 619-277-8537. 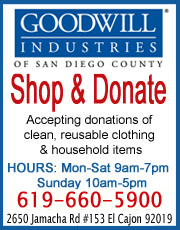 If you are donating an item for the Fashion Show fundraiser, please contact Kristin at 619-277-8537. 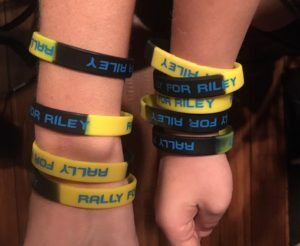 Rally bracelets are here! $3 or a donation. The bracelets are available at the W Salon and Spa on Old Hwy 80. This gives the public a chance to chat with the Station’s command staff, deputies, Crime Prevention Specialist and Senior Volunteers in a casual setting and exchange ideas and concerns. 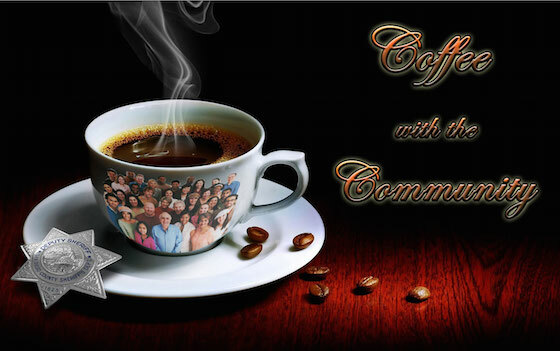 Enjoy free coffee and cookies. 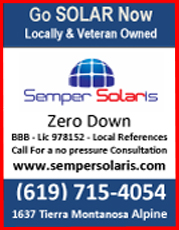 For more information, contact Crime Prevention Specialist Jim Wieboldt at (619) 337-2039.